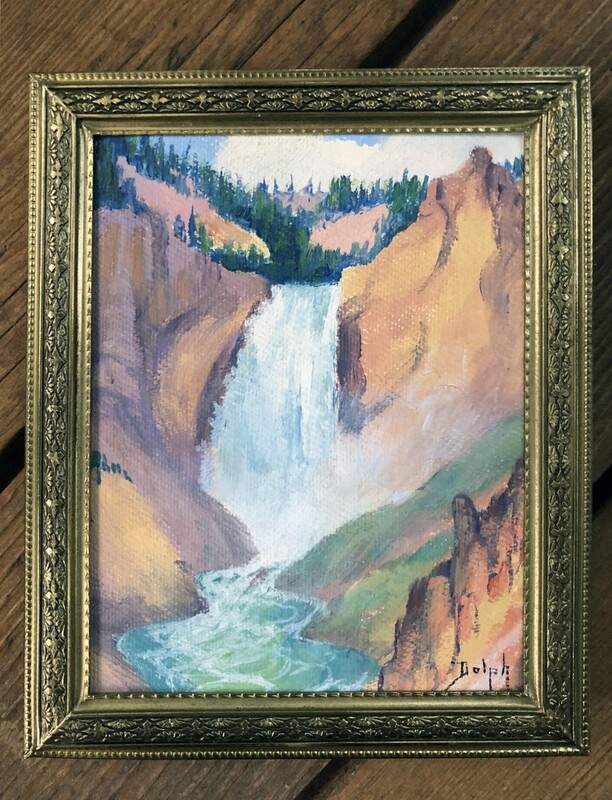 Oil on board of the Lower Falls of the Yellowstone, in Yellowstone National Park. By Marie Dorothy Dolph (1884-1979). 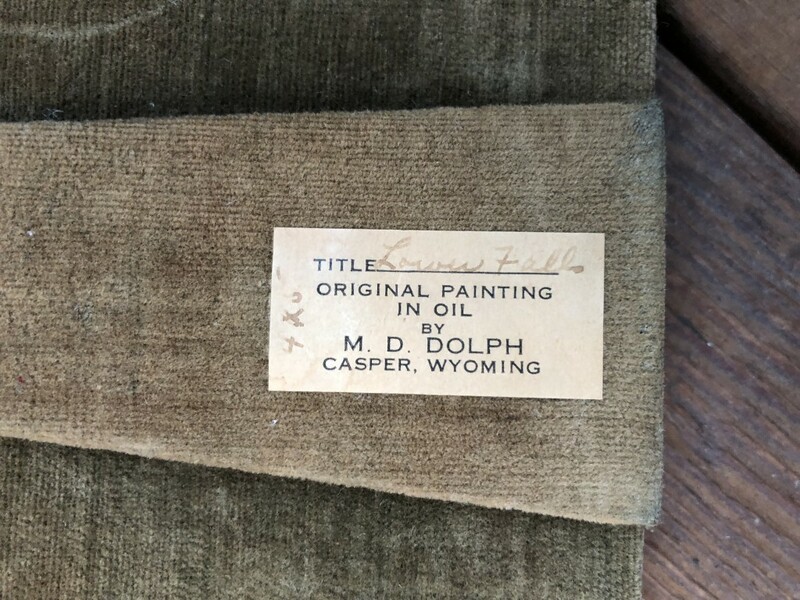 Painting mostly in miniature, Dolph captured iconic views of Wyoming, and also traveled to California, Oregon, Idaho and Washington to create works. 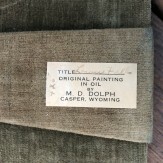 Signed in lower right, and titled on her typical label on the reverse. This piece can be hung on the wall or set on a surface using the easel back. 4.25" x 5.25" including metal frame.